A new GNOME release, a new Raspberry Pi, more distros on the Windows Subsystem, and more apps are Snapped. Plus why rms refused to come on the show. After Joe’s ill-fated attempt to have a reasonable discussion with Richard Stallman, we discuss the difference between the kernel and the operating system. That’s too bad about rms. I would have rather listened to a debate with him than one about him. I agree with you that the GNU/Linux debate is over. A lot of projects seem to agree with rms that Linux got too much credit in desktop operating systems using the Linux kernel — the main pages for elementaryOS, Solus, Ubuntu, Debian, Ubuntu MATE, etc. do not mention Linux. “Late Night GNU/Linux” does have a nice ring to it. Ikey, what is the lock-in to gcc for Chrome? I thought Chrome was compiled with clang. Ah, yes. I wondered if that was it after I posted. Has anyone tried to convert Chromium to build against musl? It’s probably hard because Chromium changes so frequently. Yes. Both Alpine and Void have fully functional builds under musl, including libressl. Those are not proof of concept builds. They’re daily drivers. Very cool. So Chrome likely could build against musl if Google thought it was worthwhile. It’s likely a low priority for them now since glibc is so much more prevalent. When I first heard about Void, I thought it was just a hobby project. It seemed like its unique selling points were just that it was not a derivative of another distribution and that it used its own packaging system written by the creator. Now it seems to be maturing — with the unique package manager, the non-systemd init sytem, non-glibc runtime, libreSSL in place of OpenSSL, it has a lot characteristics that distinguish it from most other distributions. Chrome links exclusively against glibc which makes it a no go on musl systems. Sadly, although this is generally the case with closed src applications on linux, there are a few open ones that follow the same pattern. A prime example would be systemd. I’m genuinely curious to know what exactly RMS demanded from you guys. 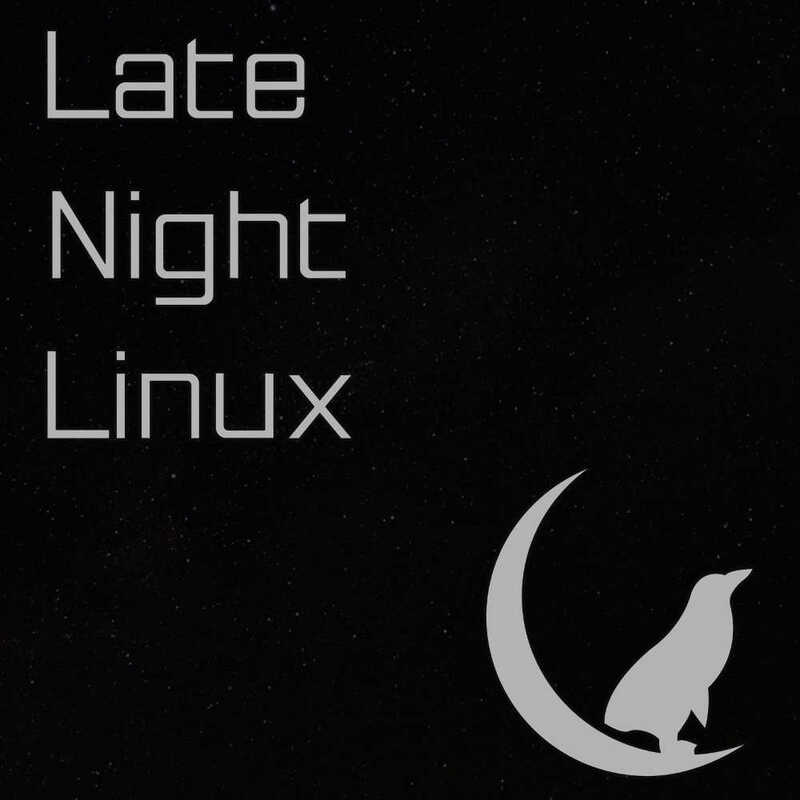 Would you have to say “Welcome to episode 33 of Late Night GNU/Linux” at the start of the show? Did he want you to replace the string “Linux” on the website with “GNU/Linux” (unless it refers purely to the kernel)? Did he want you to change the domain to latenightgnupluslinux.com? Either way, Ikey hit the nail on the head. It’s sad he didn’t take the opportunity to talk about why he feels people should say “GNU/Linux”. To refuse an interview unless journalists demonstrate that they agree with you is just sad. What drugs are the GNOME devs on? They keep regressing. Linux Mint and the Cinnamon D.E. Why do you guys hardly ever mention them? As a relatively long time user of both, I am confused as to why it’s not covered more, I love it and think they work extremely well. Way better the Gnome3 or Unity and in my opinion KDE as well. XFCE and LXDE being great light weight D.E’s that I sometime use. I make three modest changes. I add a mac like dock, move the task bar to the top and I enable intellihide on both. Then enable hotcorners in order that I can change between 6 virtual desktops with a flick of the mouse and have the full use of the screen too – heaven! We don’t talk about Mint because if you have nothing good to say, it’s best to stay silent. Lol, I agree whole heartedly! However, seriously… you really have nothing good to say about Mint and Cinnamon? Maybe I’m a freak or something as I wouldn’t willingly use any other distro’ unless there was no other option. I have tried most of them (and all D.E.s) and they don’t work in the way that I like, whereas Mint and Cinnamon does… different strokes for different folks I guess. You were talking about D.E.’s in your last episode and you (one of you) had lots of bad things to say about other D.E.s. So maybe you have a bias that you are not admitting to? You also definitely say bad things so you’re contradicting yourself somewhat! In my last comment on ep32 I stated that RMS won the war against propitiatory software, perhaps someone should remind him of that once in a while. Is Ikey the most sensible person on the show? From someone who is deeply embedded in all stuff linuxy, he seems to be able to take a few steps back and comment with amazing clarity on the bigger picture and I find myself agreeing with him on most points. If ever you guys are stuck in the Salford area, give me a shout, the beers are on me. 9/10 for ep33, great show. I don’t get it?! RMS appeared on the Lunduke Hour https://www.youtube.com/watch?v=S0y0oXU8YNk. Why didn’t he have to change the name of his show to GNU/Lunduke. Maybe RMS was just trying to make up for the time he almost made Bryan have a nervous breakdown on the Linux Action Show, https://youtu.be/radmjL5OIaA. That was a great interview actually, painful to watch, but really draws out the positions. Plus it gave Jupiter Broadcasting sound bites for years.